hello all I’m new here looking at getting some opinions? My grandfather is the original owner of a 1988 f150 reg cab 2wd XLT Lariat manual with the 5.0 V8. It only has 62 000km 38 000 miles. It’s sat about 4 years now on concrete in the driveway he offered to give it to me. From what I can tell with a quick look rockers on both sides will need to be done, they have been done in the past one side of the box wheel well also. The radius arm is weak and rusted on both sides can see through it at spots, with the radius arm so rusted what are the chances the frame is rotted out? It has been oil sprayed yearly in the past. Also gas gauge not reading and turn signal not staying on. Besides breaks and lines what other stuff should I look at? thoughts on if it’s worth fixing? Last edited by 1988f150lariat; 02-09-2019 at 12:20 PM. Difficult to give an opinion without looking at it, but the rocker panels and above the rear wheels were common spots for rust-through - not a big deal, just a lot of work. When you mentioned the heavier underbody components, need to verify whether just surface rust or the more serious in-depth rust. If the major structural parts don't look good, IMO best to walk away. Given the age of the vehicle, suggest to have a look at the rubber component such as the radius bushings, looking for significant cracking or rot. Check the steering links - this was the early days of the greaseless fittings, found that by 70,000 miles, I had replaced everything between the pitman arm and steering knuckles due to the joint slop. Inspect the exhaust and gas tank for rust or rot. Does the A/C work, and if not, do you really want it to - could be big bucks to get it going again. Suggest if the frame and underbody is intact without significant deterioration, then it becomes a matter of how much you're willing to put in it to correct the smaller issues - sitting four years didn't do any favors, and it's a 31 model year old truck, so it's kind of a wild card on what all will be needed, thus it comes down to how much you place on its sentimental value and increasing uniqueness. These were extremely reliable trucks, just a question of tallying up what it will take to get it back to the condition you want before you commit - maybe a few dollars, .maybe a wallet-emptier. If it matters, the 5.0L of that era was rated for 185hp, so trailer towing and general zippiness are considerably less than more recent offerings. I’ll have to really get under it to check the frame. There is still lots of oil from being undercoated. As for gas tanks they have been changed to stainless. It used to be very well maintained up until my grandfather quit driving. As for the rockers it’s hard to tell the extent there’s rust bubbles inside door perimeter once sandblasted I’m sure will go through. It has the running boards so it’s hard to see from underneath. the floor has been done in the past as where the rockers. The box and tailgate are mint except for the driver side wheel well. 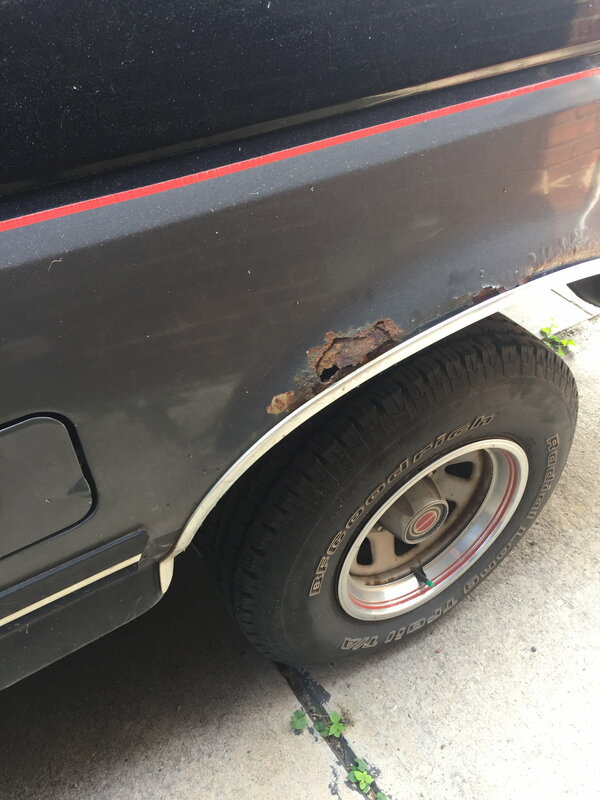 No rust on doors and hood. The one fender has some bubbling at the bottom. All glass, lights and interior are mint. Even when he did drive it was rarely driven so it has sat most of its life. I do think there’s a good chance of it being a wallet emptyer. The sentimental value is there, I doubt I’d be considering it if it wasn’t for that. Last edited by 1988f150lariat; 02-09-2019 at 09:03 PM. Go underneath and start poking the entire frame with a screw driver, especially near shock mounts. ANY tender spots in the frame or floorboards would be reason to discard the truck. If that passes, I would just make it safe to drive and not worry about cosmetics as this could easily turn into a money pit. Once it starts rusting, there's no stopping it other than panel replacement. A low mileage, rusted truck which sat around for years is less desirable than a high mileage, solid rust free truck. Too bad he didn't offer it four years ago as that once looked like a nice truck. Last edited by raski; 02-10-2019 at 05:00 AM. Once the weather gets better I’ll get under it and check over the frame and floor with a screwdriver. That’s what he said he should have gave it to me years ago. I’ve always loved the the truck one of the nicer color combos in my opinion. Its not a bad looking truck, but as others have said the frame is your biggest concern, I'd also use a small hammer and tap around on the frame, check the spring hangers as well as they are rust magnets. The rad support is almost positively gone and the floor undoubtedly has a few weak spots but if the frame is solid it could make a good project. Though I'd ditch the steps. Another thing to look at is rubber bushings and fuel lines and bed cross members, if it has a bedliner lift it and make sure there is still a bed floor. Be smart when evaluating it and use your head and not your heart. It could be a great project or a money pit, good luck and have fun! 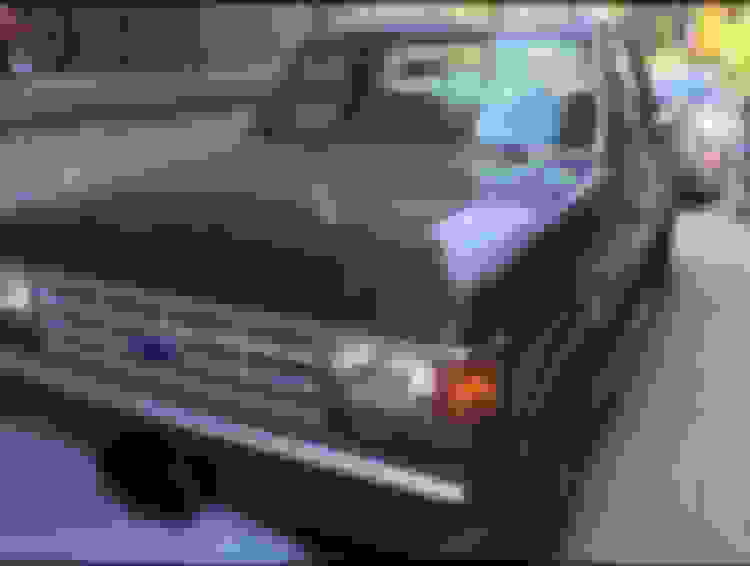 '87-89 were the worst years for Ford trucks. Even if you fix everything, it still won't be comfortable (in the modern sense), reliable, economical, attractive (bricknose), or worth half what you'll have spent to get it there. Sentiment is fine for greeting cards, but don't let it make your decisions on this much time & money. Id say that the main thing to look for is just rust. do what the others told you and tap around with a screw driver. If it doesn't seem too rusty, then fixing it up does sound pretty cool. Even though its been sitting, it shouldnt take too much to get it running. New rockers, fuel pumps, and a fuel filter should be all it needs to run reliably. just do those, and flush the cooling system, and change out all the other old fluids and then you can have a mostly reliable, running truck. then you can slowly fix up other things like the body and interior where its needed(the more you drive it the more you'll be able to find smaller issues), and you wont have to spend a bunch of money at once. There is a huge aftermarket for the 8th gen trucks, so parts are easy to find, and fairly cheap. Ive got a '90 f150 that was neglected for a while and we use it to commute about 3-4 times a week and have had no problems, We have spent less $300 on repairs so far. Thanks for the suggestions, I totally agree on loosing the running boards. Hopefully this weekend I can get under it to check it out.